.Pastel drawing of a Pomeranian. This artwork come matted and packaged in a clear sleeve. 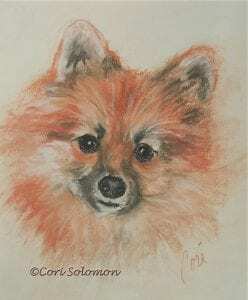 To purchase this Pomeranian drawing email Cori.